How often do you get a thank you from anyone in your organization? Is it once a week, a month or a year? 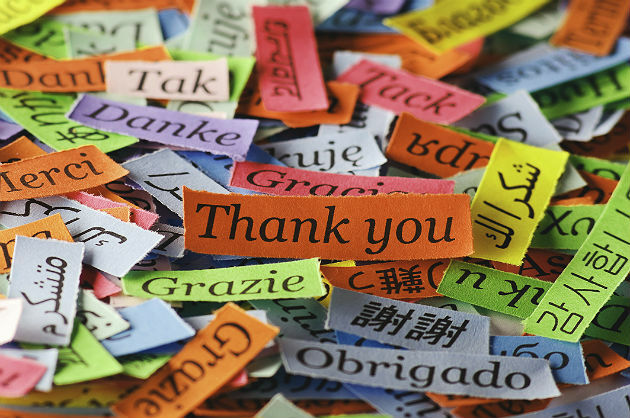 A study conducted by the John Templeton Foundation discovered that the workplace is the least likely place that someone would get a "thank you." In fact, according to the Templeton survey, 60 percent indicated "they either never expressed gratitude at work or do so perhaps once a year." So how can an organization overcome this trend and up the percentages? Here are some tips that can turn this around. The leadership, including the top brass, needs to take charge in changing the attitude of an organization. The culture should be one of thankfulness. All employees contribute to the success or failure in the workplace. Think of how much better it would be to show gratitude for a job well done. There would be a positive effect, and that can change the course of where the company can go. While working as a supervisor, the director of the department I worked for made sure that he always thanked me, even though the head of the organization did not have a grateful mindset. My supervisor made me feel that I was an integral part of the team and I wanted to make sure that I was doing the best job I could for the organization. Being thankful has endless possibilities of interaction between all departments and each individual. Imagine a leader giving thanks not just for good work, but also when an effort may fail. Failure helps in determining where you can fix a problem that will lead to success. The result of gratitude is that an employee will more likely want to contribute more, because they are considered valuable. Value equals a better bottom line, and an organization that seeks to be grateful for all their employees. As with all organizations, there are constant deadlines. For a job well done, I would ask my boss to give time off to a particular employee when they came through in meeting a tight deadline or a special assignment. This program was an established program and the employees really appreciated that I would take the time to recognize them. It was my responsibility as a leader to make sure that all team members were appreciated in some way. This program was just an extra incentive that I could offer them. Gratitude helps in motivating the worker. There may not always be money available to reward, however, saying "thank you" will go along way. An individual sees right away that their contribution counts for something. You also have to make sure as a leader that you do not go over board in your praise. Authenticity is the key to gratitude. Giving too much or too little praise needs be carefully measured. Showing appreciation is the best form of motivation. My best motivator as a supervisor was the giving of praise. I felt it was my responsibility as the leader to make sure that what my team member felt what they were doing was worthwhile, and that motivated them even more. I had one of the best teams in the entire organization. We were able to save money on various contracts that we had overseen. In addition, they would to go out of their way because they knew that I was an authentic leader. In fact, another supervisor wanted to take half of my team away from me. However, I was able to keep them all because of how they were treated, and I made sure that my boss knew how valuable they were. I showed management how detrimental this would be to the organization. Finally, the giving of praise should be a concerted effort. It needs to become a habit and not just a fleeting thought. The giving of thanks in the workplace is the responsibility of each individual in the organization, not just the leadership. Take the extra step and give thanks, for being grateful is the best attitude to have.